The fighting game communities of Australia and New Zealand have secured a substantial partnership with popular streaming platform Twitch, as a means to send a few competitors to the largest fighting game tournament in the world: the Evolution Championship Series. 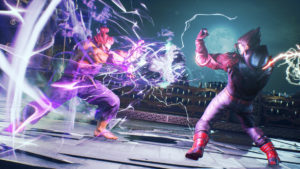 Twitch is immersing itself into the world of the fighting game community, thanks to the efforts of a handful of dedicated groups throughout New Zealand and Australia. Local FGC orgs CouchWarriors, Standing Fierce, and OzHadou created a circuit meant to boost successful players to Melbourne’s premier fighting game event, BAM (Battle Arena Melbourne) – and their endeavour did not go unnoticed. 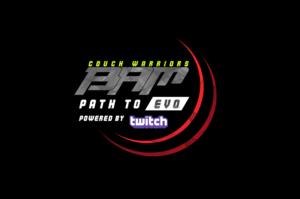 The circuit, named BAM: Path to Evo, is comprised of four regions and includes a total of three games: Street Fighter V, Tekken 7, and Super Smash Bros. Ultimate. Players can earn points in each region up until the month of April, after which the top-ranked player in each title will be offered travel to BAM – as well as an exclusive invitation to the series’ qualifying bracket. 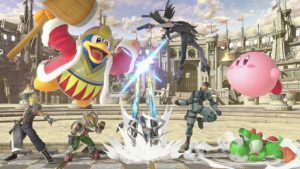 Those unable to make the cut will have the opportunity to duke it out in an online last-chance qualifier preceding BAM; however, the tournament is an eight-player invitational, with only the second and third place players from each region getting a second chance at victory. Finally, the winning player in each title at BAM will receive a flight to the 2019 Evolution Championship Series in Las Vegas, Nevada. However, that’s not all the circuit has to offer; Twitch is also gearing up to give this tournament series a megaphone to spread the FGC love across its platform. According to Twitch’s ANZ partnerships lead Lewis Mitchell, the company felt that it could unify the otherwise highly segmented communities by using the opportunity to tell a unique story. Tournament organizer Daniel Chlebowczyk of CouchWarriors feels that the initiative is drawing major attention to the scene, and has seen major growth since the circuit’s inception on Twitch. The ANZ Twitch initiative is shining a light on a community hungry for international competition. 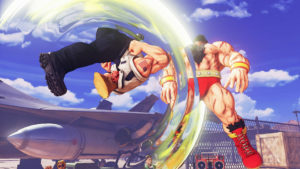 As BAM is the area’s largest fighting game tournament, it makes sense that such an event would be the perfect stage for the Path to Evo finals- but that’s not the only place where fans can watch the ensuing action. Each region features its own unique stream, where players can tune in to size up the area’s strongest competitors. You can catch the action at these streams below, and don’t forget – strong warriors are bred worldwide! Third & fourth Saturday of each month.